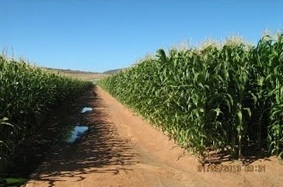 *Respond well to fertilizers,irrigation and high population density. *1,000 seeds weight 200~220g.100~115 days to maturity. *64~66 days to 50% flowering. •Cob Placement: Bottom half of plant. •Cob Shape: Long cylindrical, tapering at end. •Shanks: Narrow, cylindrical, light, pink coloured. •Seed: Medium bold, semi dent, yellow coloured. •Plant Population per hectar under irrigation/Optimum conditions: 80,000.